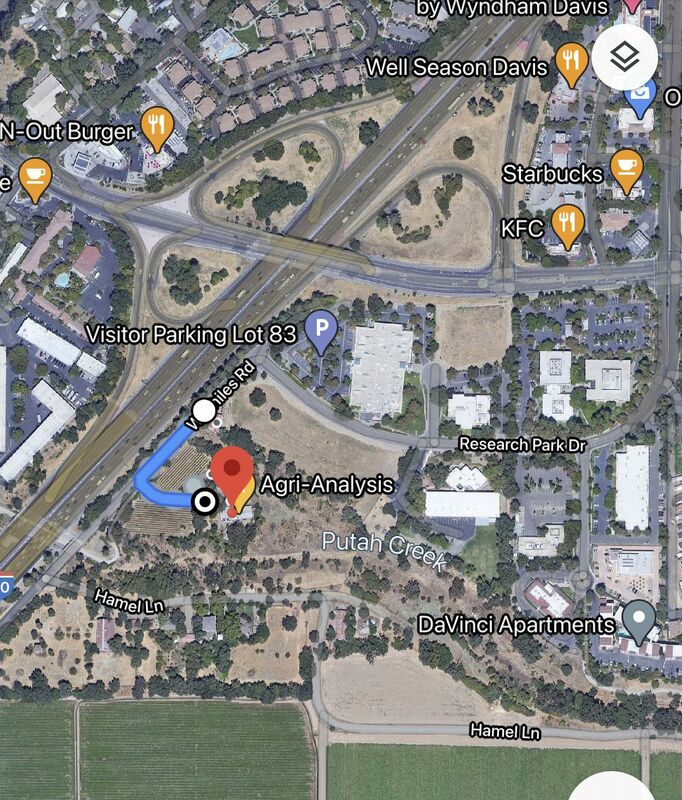 Agri-Analysis LLC is under CDFA permit No. 2771 to receive plant samples and conduct plant pathogen diagnostics. However, in order to ship samples to us, growers from the LBAM and EGVM quarantine zones shall obtain Compliance Agreement from their County Agriculture Commissioner and include a copy of the compliance agreement in each shipment. In the event such Compliance Agreement is not yet implemented, growers shall take their samples to the County Agriculture Commissioner to certify the samples are free from EGVM and/or LBAM before shipping to us. The certificate should be included in the package. Agri-Analysis sincerely thanks everyone involved in the regulatory compliance process for your efforts in safeguarding the health and well-being of California's wine grape industry, which is a vital part of our economy.